In a shallow bowl, combine sour cream and the Cavender’s all purpose Greek seasoning together. Place crushed cheddar and sour cream potato chips in another shallow bowl. Dip chicken strips in sour cream mixture, then coat with potato chips. Preheat the Air Fryer to 390 degrees. 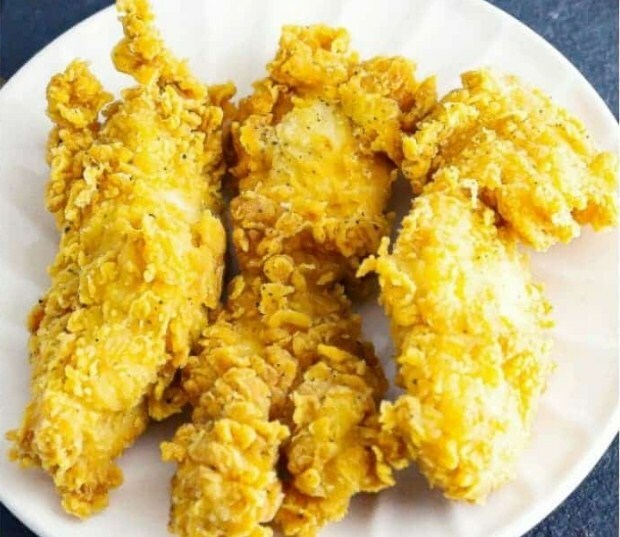 Place the chicken into the bottom of the Air Fryer cooking compartment. Cook for 25 minutes or until the chicken reaches 180 degrees.